What types of car battery are there, and how can you get the most out of your car battery? It’s the worst feeling: you’re in a hurry, you hop in the car, you turn the key or press the start button… and nothing happens. We’ve all done it before. Then your mind has to rush to how to jump-start the car, or replace the battery entirely. Alarmingly, a recent study from CTEK revealed Australians spent somewhere in the order of $761 million on car batteries in the last year. That’s a lot of cash. So why are we spending so much on batteries, what are the different kinds and how can you get the most out of the battery in your car? How can I keep my battery healthy? Battery health, especially for regular lead-acid and absorbent glass mat (AGM) batteries (read about the different kinds of battery below) is largely dependent on heat, the amount the battery is used and how long it is used for. Batteries can last from two to six years, but there are several things owners can do to extract the most out of their batteries. With regular lead-acid batteries, the 'health' or longevity of the battery is negatively impacted if you only take infrequent short journeys. The battery naturally discharges over time in the car, is discharged further by the ignition and stressed by the use of systems like air-conditioning. If your trip is only 20 or so minutes, this does not allow enough time for the battery to fully recharge, potentially leading to a permanent reduction in battery capacity or an increased chance that the battery will go dead after being left off again. If this is the way your car tends to be driven, a battery charger can be used to more safely top-up the battery before it becomes deeply discharged. Using a charger is the safest way to restore a battery back to health. Just make sure you have the right one. Heat is also a primary killer of batteries as evaporation and distortion permanently damages them (particularly true for traditional lead-acid and AGM batteries). Unsurprisingly, CTEK’s study revealed that Queenslanders were the most likely in Australia to have experienced a flat battery. You'll know your battery needs attention when the crank cycle is slow, the battery or engine light shows on the dash, or auxiliary systems are not being properly powered. If a battery goes dead, jump starting a battery can be a bad idea. While the deep-discharge of the battery is more likely to do damage than a jump-start, modern vehicles can have electronic components and computers damaged by the power surge involved in a jump-start. There are jumper leads and booster batteries available with surge protectors, but the safest way is to use a battery charger. Battery chargers vary as much as the batteries themselves, and using the wrong kind can also permanently damage the battery, so ensure you pick the right one for your battery type. 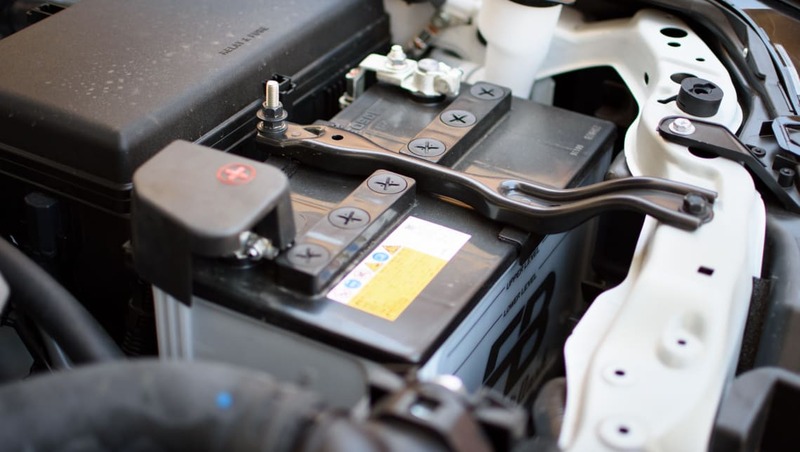 There are many types of battery on the market, and understanding which type your car needs as well as the pros and cons of each can help you extract the most out of yours. This can be very confusing. 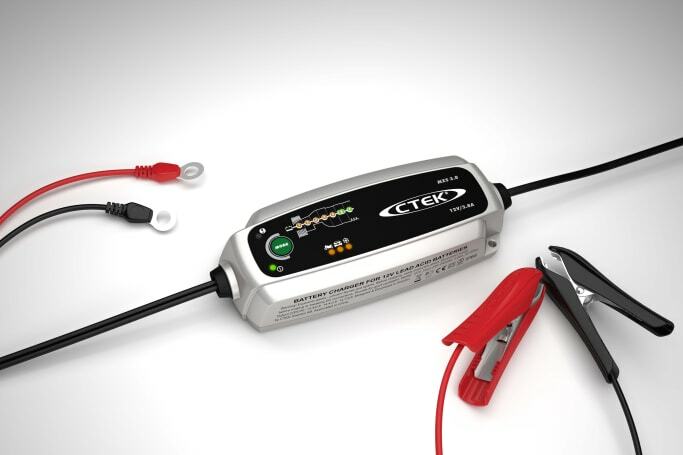 If you own a late model vehicle with a stop-start system, there are all kinds of new batteries to consider, and some batteries available from major retailers are meant for completely different purposes altogether. Regular ‘wet cell’ or 'flooded' lead-acid car batteries consist of lead-plate electrodes in a sulfuric acid electrolyte fluid. They power the car’s initial crank cycle and are the most affordable kind of car battery. These batteries are built to provide a high amount of power in a few short seconds, but are relatively delicate, heavy, and the amount of charge they provide is hampered if they are required to provide too much power to auxiliary systems. AGM batteries operate on the same principle as lead acid batteries, except the electrolyte is absorbed into a porous glass mat inside the battery. AGM batteries are more robust and suited to being thoroughly discharged or ‘cycled’ (so can support more demanding auxiliary systems) than regular lead-acid batteries. AGM batteries can support the demands of a stop-start system, however are significantly more expensive than their regular ‘wet cell’ counterparts and are more vulnerable to heat, so cannot be stored too close to engine components. 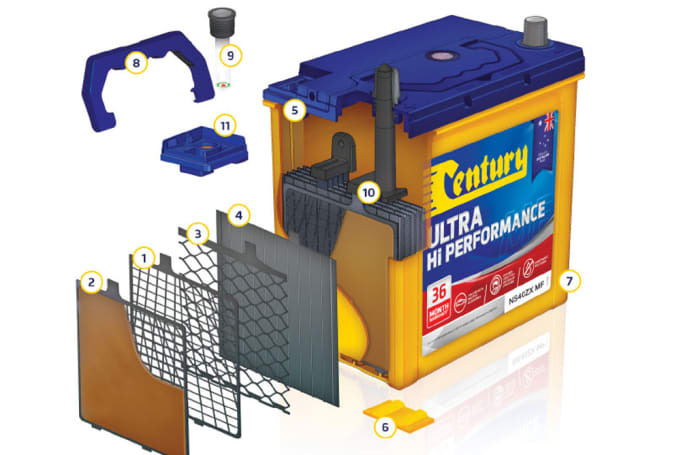 Gel Lead-Acid batteries (or simply, gel batteries) overcome some of the issues of wet batteries by mixing the electrolyte with a gelling agent. Much like AGM batteries, gel batteries are more physically resistant to damage, and can be cycled even more often. Gel is also more resistant to heat than regular lead-acid or AGM batteries, however comes at an even higher cost. Enhanced Flooded Batteries (EFBs) are just a more modern version of regular wet lead-acid batteries, with a revised design so that they are capable of supporting the demands of stop-start systems. EFBs were introduced as a more affordable alternative to AGM or gel batteries, aimed at non-luxury vehicles. ‘Deep Cycle’ batteries can be any of the above types, but are specialised for long-term discharge rather than a burst of sudden power like a starter motor. Deep cycle batteries are used in dual-battery setups and are suited for powering auxiliary systems over long periods of time (5-20 hours). Why aren’t lithium-ion batteries often used in cars? Apart from in hybrid systems, where the demands for a battery are very different, Lithium-ion batteries are generally not used as a starter or auxiliary battery. This is because relative to their lead-acid counterparts they are incredibly expensive, and more suited to being partially discharged and recharged, rather than remaining at full charge constantly or being deep cycled. Lithium-ion batteries are now becoming a popular option on high-performance vehicles, as they save significant amounts of weight. Finally, car batteries are recyclable, so always return your dead battery to an outlet rather than leave it for landfill as harsh chemical contents will ultimately leach out with nasty environemental consequences. What battery issues have you run into in the past? Share your experience in the comments below.